Concentrated Whey Protein by Dymatize. Elite Whey Protein by Dymatize is a cows milk whey protein product designed to provide maximum quality, whilst also incorporating digestive enzymes to improve absorption on the part of our bodies, with Aminogen being responsible for this task. Elite Whey Protein is also ideal for people with lactose problems. Elite Whey Protein, also incorporates glutamine and BCAAs in each of its servings, helping is in the task of providing them in our daily diet. Each serving supplies 3,5g of glutamine and 5g of BCAAs. Elite Whey Protein incorporates BCAAs, which fulfil the role of muscle energy source for our recovery. They are used for cellular recovery following training and boost muscle growth. Elite Whey is low in sugar (just 1g per serving). 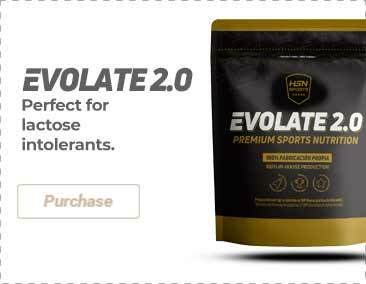 Elite Whey is low in synthetic sodium. Elite Whey does not incorporate aspartame. Add 1 serving to 190ml of water, milk or juice and stir until it is all dissolved and drink immediately after mixing.